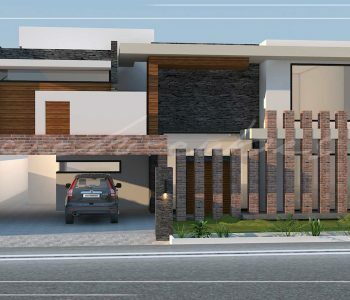 This playful combination of horizontal and vertical elements in our residential project was designed by our Architecture Firm, Archi-Cubes with the team of best architects and interior designers in Lahore. The whole façade gives off feelings of curiosity with a dash of illusion. The interplay of sophisticated proportions and volumes define the whole structure. Our group of architects worked to create the most unique and different experience in their own way. 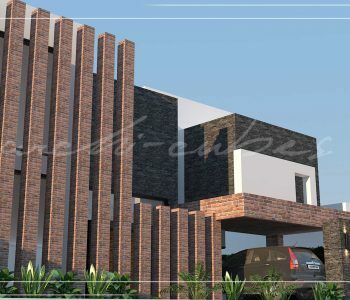 The vertical columnar elements not only give off the illusion of heightened structure, but also play the role of giving a little privacy in a way that will surely make heads turn around. 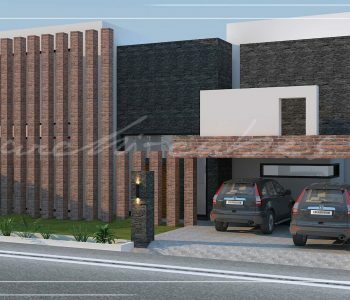 Other voluminous elements represent the proportional play; an exterior only the best architects in Lahore can pull off. 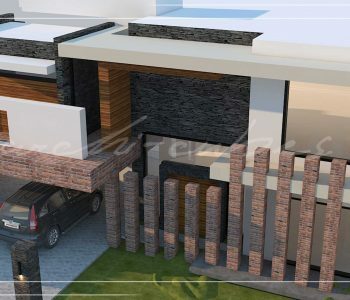 The exterior landscaping brings the structure to life by the inclusion of creepers creeping their way up the columns. 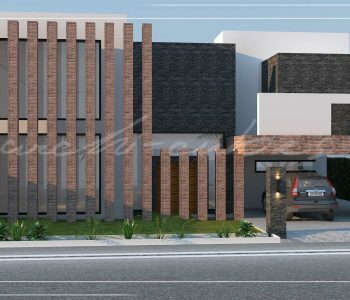 The inclusion of Pakistan’s conventional material; brick, gives off traditional vibes complementing the contemporary part of the design. Not only is it cheaper and stronger but also one of the most aesthetic materials used in construction and design. One may experience warmth and coolness simultaneously due to fascinating choice of color palette. The relation between natural warmness of wood and the depth of dark gray tied with the pearly whiteness is what sets the contemporary part of the structure perfectly. The large glass windows bring the exterior context to the interior, making the users a little closer to their environment, making them a part of the outside world i.e. not limiting them within the walls of the structure. 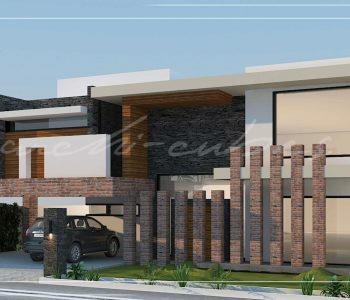 This versatile choice of materials and colors is a unique and creative approach rarely seen in residential projects and we hope to improve and take this approach to the next level so that interior designing in Pakistan reaches the creative heights it’s on its way to.